Samsung officially reveals the S8 at their Unpacked event on March 29, US time. However, a lot has already been leaked online about the features and specs in the past weeks and months. Below’s a round-up of those. Note, however, that some of these specs are to be considered as approximations until next week’s big event. True to Galaxy form, the S8 retains most of the features of the Galaxy line. Now, however, the device comes with a true “Edge” design that’s almost bezel-less, with a screen that wraps around the sides of the phone. Gone is the recognizable home button and Samsung logo at the front, because there’s simply no space for it in the refreshed design. Without the home button, though, many wonder where the fingerprint sensor has gone. As can be found in many recent LG and Motorola phones, it has been relegated to the back of the handset. Screen size has jumped from the S7’s 5.1 inches and the Note 5’s 5.5 inches; now the display is a whopping 5.8 inches (standard model) and 6.2 inches (“Plus” model), respectively. The decreased bezel size and wraparound screen might help in keeping the smaller footprint, though, so all in all, the improved screen-to-body ratio is welcome. Pricing is yet to be released, especially in the Philippines. 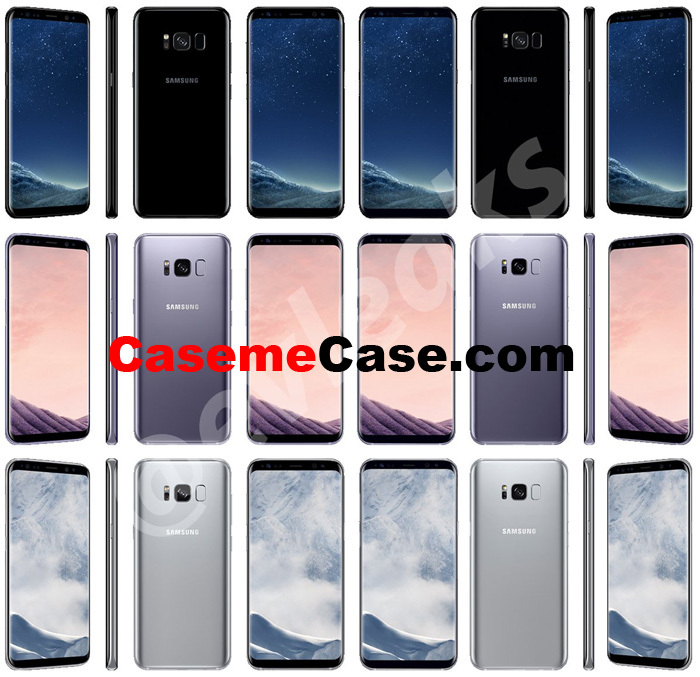 However, prices in Europe are rumored to be €799 (P43,267.11) for the Galaxy S8 and €899 (P48,682.26) for the Galaxy S8+. Prices seem reasonable, considering what these two flagship devices are supposedly bringing to the table.